Anyone looking for an orthodontist in the Bal Harbour area you have a variety of options. With this fact at hand why do so many families travel to see Dr. Carmen Crespi in Miami Lakes? In this day and age it seems that everybody is offering orthodontic services. The truth is that they are several of dental professionals offering orthodontic services even when they are not qualified to do so. It goes beyond that you can now even order Invisalign want to be via mail from SmilesDirect! With that said, families who know better still prefer the service only a certified orthodontist can deliver. If you’re in the market orthodontic services we ask you to contact us for a free no obligation consultation where we will show you what is the difference between braces from Home Depot versus that of a board certified orthodontist in Bal Harbour, Fl. Although a great number of dental professionals will tell you that braces are no big deal, the difference in education tells us otherwise. Orthodontic appliances are placed over your teeth to correct its alignment. If not done the right way, you may experience a lot of health concerns arising from the idea that you can’t grind or eat your food correctly. If you are getting braces, it’s best that you talk with an orthodontist rather than a regular dentist. Orthodontists have vast knowledge with regards to the proper alignment of teeth. A regular dentist’s experience, on the other hand, isn’t within that area. When it comes to education, an orthodontist possesses two to 3 more years’ worth of specialization than a general dentist. This suggests that they are capable of doing better than the latter can do, and it includes installing wires, braces, Invisalign, and other corrective appliances on your dentures. Consult with an orthodontist if you do not want to suffer from the painful effects such as overbite and head-splitting migraines. These are the common complaints of patients who opted to go to a general dentist rather than an orthodontist for braces. Keep yourself from all these problems and refer only with orthodontists who are specially trained for the job. Remember that problems with your teeth affect your overall health. If your teeth are causing you pain then the rest of your body will not able to function at its best. Bal Harbour Orthodontist for Invisalign and Braces! 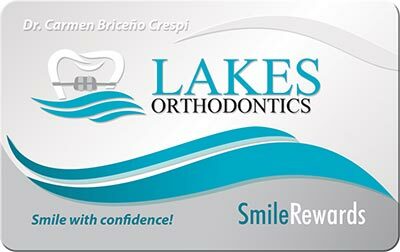 Miami Lakes Orthodontics you your local board certified orthodontist serving the Bal Harbour area. The moment that you have decided that consulting with an orthodontist is better than going to a general dentist, then the next step is to look for the orthodontist who is perfect for you. There are 2 kinds of orthodontists: general orthodontists and board-certified orthodontists. If you must choose between these two, always go for the board certified orthodontists. Apart from the knowledge and training that regular orthodontists go though, the board certified experts offer improved and complete oral care. This is because they are required to renew their certification every 10 years in order to keep the certification. To become a board certified orthodontist, they must be a member of the American Board of Orthodontics. One has to follow the accreditation guidelines of the organization and abide by their every rule to ensure their membership status. Renewal of certification is also necessary, which may also mean they have to undergo continuous education. There are several advantages to consulting with a board certified orthodontist and they have a lot to do with your assurance of getting premium oral care. These experts can give you with adequate dental care, as well as align your teeth to give you that perfect smile. These orthodontists will make sure that you’ll get your confidence back. Why is an Orthodontist the right type of dentist to see for braces or Invisalign? Have you ever wondered what type of dentist you should see if you or you child needs braces or Invisalign? Millions of people around the world have issues with their teeth that require the assistance of a dental specialist known as an Orthodontist. The first thing that any patient or parent of a patient should consider when choosing a dental professional is to make sure that the doctor that they are considering specializes in handling their specific need. Your general dentist serves the same function as your general physician (Family doctor) in that they assist you with your overall oral health needs and check-ups. Some of the services that they are trained to provide are gum care, root canals, fillings, crowns, veneers, bridges, and preventive education. When an issue exists that requires specialized attention, your general dentist should always refer you to the appropriate dental specialist in the same way that your family doctor should send you to a medical doctor that specializes in your specific issues: cardiologist deals with heart issues; dermatologist with skin issues, etc. Your general dentist is not trained as an orthodontist and does not have the same level of education, expertise, experience, or specialized equipment to properly diagnose and treat your orthodontic needs. An orthodontist is a dentist that has specialized training, education, and a degree in orthodontics. Orthodontists typically graduate in the top 5% of their dental class and then have to get specialized training for another 2 to 4 years in order to become an orthodontist. They are specialists with expertise in the areas of fixing bad bites (malocclusions), which commonly result from crowded, missing, or extra teeth or jaws that are out of alignment. This specialist is responsible for straightening teeth by moving them through bone by the use of bands, wires, braces, and other fixed or removable corrective appliances or retainers. This specialist treats children as well as adults who may wish to improve their appearance and bite. Therefore, if you or your child need help in straightening or aligning their teeth then you need to see an Orthodontist.